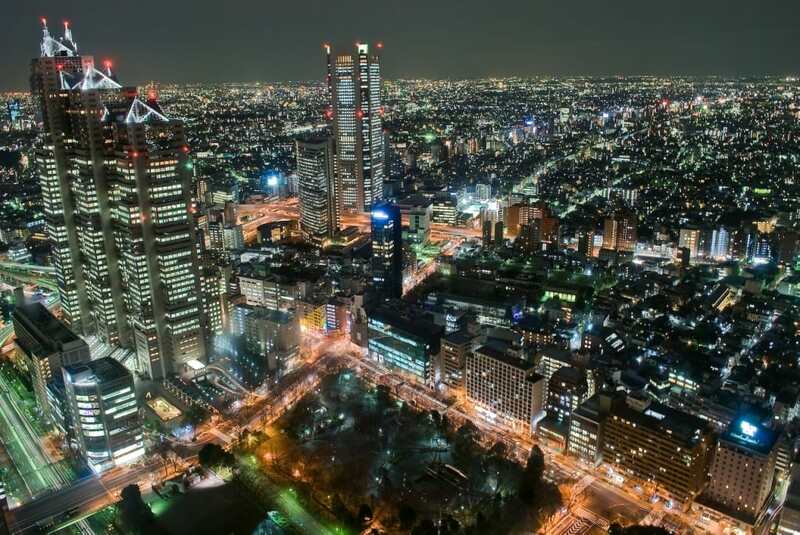 Though you can enjoy Shinjuku during day & night we recommend you to be there during the night. There are many high buildings with bars from where you can enjoy wonderful night views. Besides, many shops are open till in the early morning so that you really can enjoy all night long. 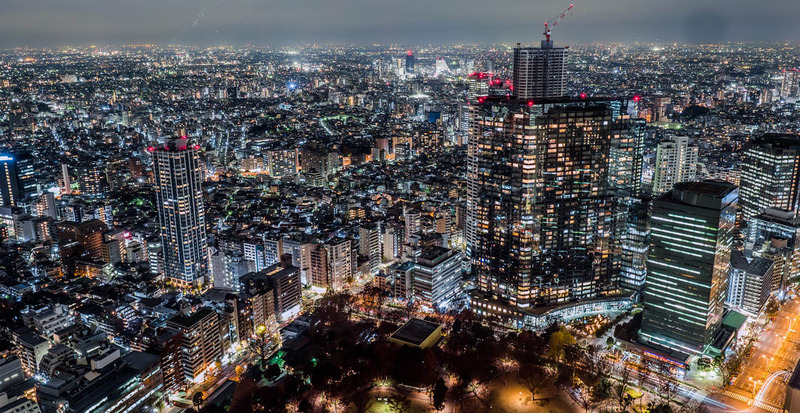 This time we’ll show you the Tokyo Metropolitan Government Building North Observatory to enjoy an unforgettable night view of Tokyo. The Tokyo Metropolitan Government Building has two observatories at the north and south. Both observatories are admission free of charge. 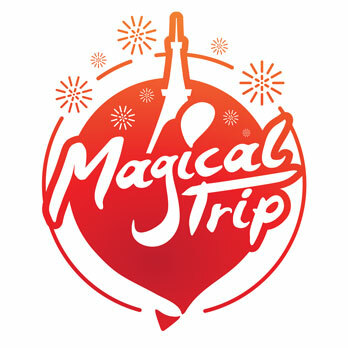 Enjoy a wonderful free view of Tokyo from 202 meters high above the ground. The North observatory open till 11:00P.M. (Except for second and fourth Monday of each month). Caution: Please do not use a tripod when taking photographs. At the North Observatory, there is a souvenir shop. For enjoying a drink or something to eat, you can visit a restaurant named “Good View Tokyo”. This restaurant is based on the image of an entrance hall of a metropolitan resort hotel. You can enjoy live jazz music on every Tuesday and Wednesday. They offer delicious continental cuisine with the essence of Japan. It costs about 4000 to 5000 yen per person – dining while enjoying a wonderful night view of Tokyo. The Tokyo Metropolitan Government Building has two observatories of North and South. We’ll recommend you South observatory to enjoy night view of the city center or Odaiba though not so many days open till late. This observatory is spacious and dark at the side of the windows. So that you can enjoy night view. Besides there is a souvenir shop and a café. The South Observatory closes at 5：30P.M. ※When a regular closing day falls on a holiday, the observatory will open on the holiday and close the following day. ※Both observatories are closed during the New Year holidays (December 29–31 and January 2–3), and the day for building inspection. 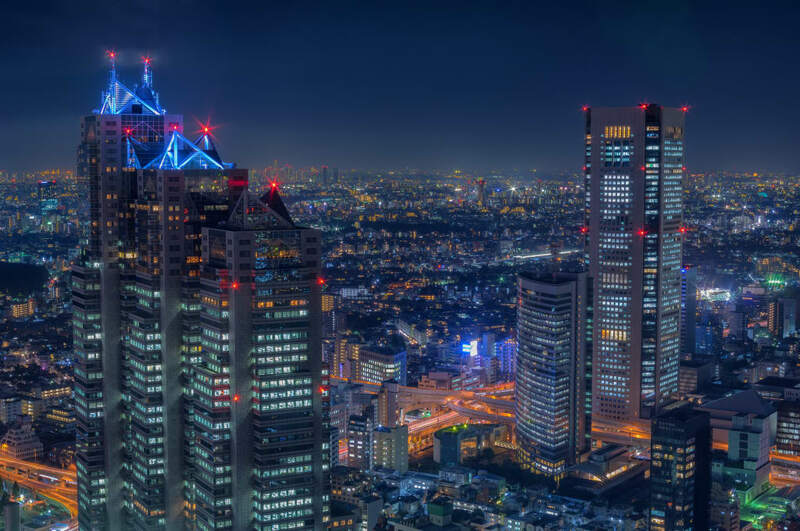 Shinjuku – a city that never sleeps. There are many shops open till morning or opened 24 hours a day. Visit the Don Quixote or BICQLO to do some shopping at night. Visit a nice bar to enjoy live music, enjoy the wonderful view on Tokyo from the high buildings. Besides there are many karaoke bars, izakaya (Japanese styled bar), western styled bars, clubs. Nightlife in Shinjuku is great, enjoy nightlife of Shinjuku on your own way! Let’s join a tour visiting an izakaya in Shinjuku. Not only to enjoy the good food but also to enjoy and meet nice people at an izakaya. An excellent way to discover Japanese local culture and meet local people. The guide will help you. Check the detail of Tokyo Pub Crawl Tour.